Replacing the roof on a beautiful home in West Bloomfield, Michigan. What do you think?! With over 15 years of experience providing quality roofing services, Coverall Roofing are the local experts for roof repair and roof replacement in West Bloomfield and nearby. If your home has suffered storm damage, has an old or worn out roof, or has a roof leak, we can help. 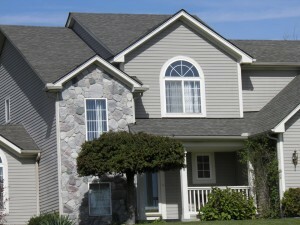 Call Coverall Roofing today to get quality roof repair or roof replacement for your home in West Bloomfield. We offer free estimates on all our work! Working in Ann Arbor and West Bloomfield, MI today!